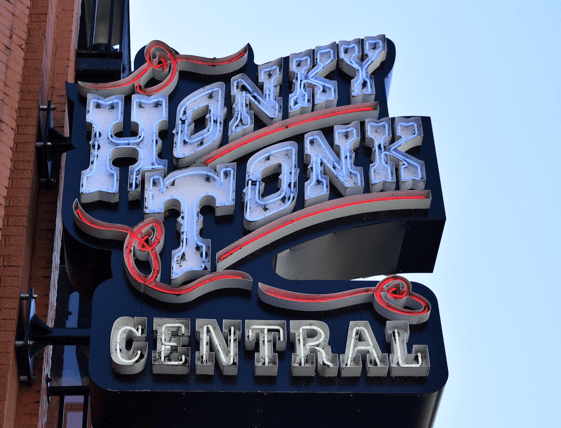 Nashville and Memphis are two cities in Tennessee that are rich with history and culture. No matter where you go, visiting either city is a marvelous opportunity to soak up the local food and music scene. 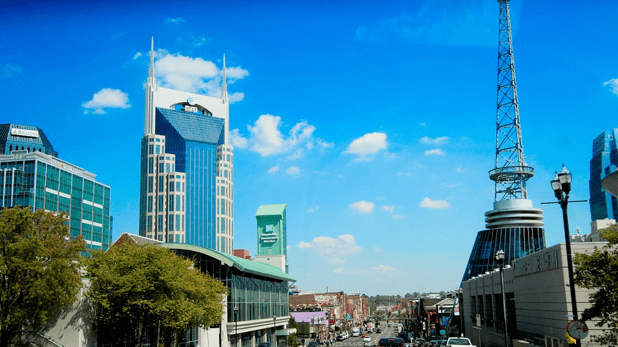 For those who are living and working in these well-known cities in Tennessee, finding a financial advisor in Nashville, Memphis, and the surrounding areas is a great way to grow their wealth and secure their future in the place they love. Even those who have managed to acquire a significant amount of wealth may find themselves in for a nasty surprise if they do not organize their finances correctly. A Nashville wealth management firm or a financial advisor in Memphis can help professionals, business owners, and entrepreneurs get on the road to financial success and security. When it comes to evaluating financial advisors in Nashville, Memphis, or Franklin, there are typically two types of firms to consider: fee-only and fee-based advisors. How do you know which type of Nashville wealth management firm is right for you? Below, we’ll provide you with a brief overview of everything you need to know about the differences between fee-only and fee-based financial advisors in Nashville, Memphis, and Franklin. When an investment firm or a financial advisor in Nashville says that they are “fee-only,” this means that they do not accept commissions or third-party referral payments. In short, a fee-only Nashville financial planner is in a better position to act solely in the interest of their clients. While a fee-based structure does create some potential conflict, many fee-based firms are also fiduciaries, which often counteracts the potential for conflict. Nashville and Memphis financial advisors that adopt a fiduciary commitment are legally responsible to fully disclose any conflicts of interest and are required to put the interests of their clients ahead of their own. 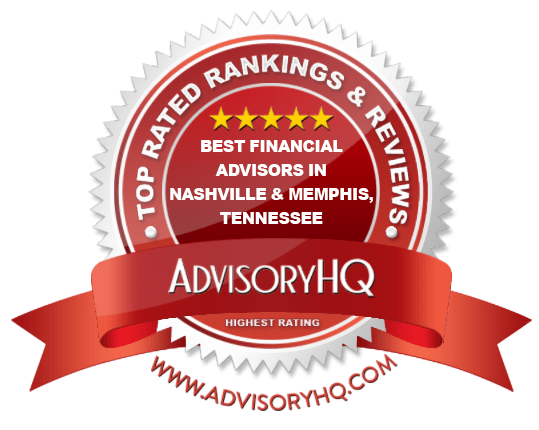 Below, please find the detailed review of each firm on our list of the best financial advisors in Nashville, Memphis, and Franklin. We have highlighted some of the factors that allowed these wealth management firms to score so high in our selection ranking. They emphasize low cost, low taxes, and longevity when dishing out financial planning advice. Built on a basis of stewardship and family, these Franklin financial advisors take the time to identify what is important to their clients so that they can diligently work towards accomplishing their goals. People don’t mind paying top dollar for top advice. What they do mind is paying top dollar for someone to sell them a product that does not work in their best interests. This is one of the pitfalls of the financial advisory industry. How do you know whether or not a professional is promoting a product simply because they receive a commission? This is why it helps to work with a fee-only financial advisor in Franklin, TN. In this case, the firm only receives compensation via the fee you pay them, and that fee is usually a percentage of the assets they manage for you. This means that their success is directly tied to your success. The better their advice, the more likely you are to come back, and the more returns they help you realize the higher the value of the assets they charge a percentage on. Additionally, as a fee-only firm, clients can count on unbiased, objective advice from the Franklin financial advisors at Abound Wealth. This wealth management firm in the Nashville area provides what it calls simple and smart financial advice. Their mission is to provide a safe haven for people looking for intelligent, no nonsense wealth management that is free from sales pitches and quotas. Their Nashville-area financial advisors work for clients, not outside interests that are developing financial products for sale. They believe in acting as a “personal CFO” for clients by helping them manage every area of their financial lives. As a top Nashville wealth management firm, Abound Wealth provides unique plans that are specifically tailored to the needs of their clients as opposed to trying to squeeze individuals into cookie cutter solutions. Additionally, they are diligent about keeping costs and taxes low. What more, this firm will work with clients either locally or virtually, bringing their financial advice to wherever they are whether it’s in Nashville, Memphis, or on the other side of the country. With a fee-only structure and a client-centric commitment, Abound Wealth provides clients with the utmost in transparency and trust, providing a strong foundation for a long-term financial planning relationship. Although Abound Wealth is certainly a top financial advisor in Franklin, TN, our review did find an opportunity for improvement with how the firm’s financial planning services are communicated. Without a clear description of what types of financial planning or investment management services are available, potential clients may find it difficult to fully evaluate the firm. By including detailed descriptions of the types of services offered, Abound Wealth could easily improve both their value proposition to clients and their rating as a top financial advisor in Franklin, TN. CapWealth Advisors, LLC is a wealth advisory and financial planning firm located south of Nashville in Franklin, Tennessee. It offers a variety of services to individuals, families, institutions, and foundations, including portfolio management, retirement planning, and tax consultation. CapWealth is a fee-based financial advisor in Franklin, TN, and we have included them on this list for their independence and wide range of services they provide. CapWealth’s Investment Committee oversees all asset management research. Through expert analysis, this financial advisor in Franklin, TN has created its own Sophisticated Simplicity® model which incorporates macro-economic data and analysis into a wide range of exotic, alternative, and private investment landscapes. Proactive investment management isn’t just about stocks. As clients face inevitable changes through each stage of life, their needs change as well. Tax Planning: This wealth management firm in the Nashville area provides integrated tax planning and income tax design. Family Wealth Planning: This firm helps preserve intergenerational wealth, educate the younger generation on good stewardship, and fosters collaboration within the current generations. Investment Services: As you enter CapWealth’s vast world of investments, you’ll have the opportunity to work with your advisor to establish investment objectives, rebalance your portfolio, coordinate with other professionals, plan for insurance, and more. Retirement Income & Distribution Planning: It’s never too early to plan for your retirement. A retirement plan through CapWealth covers all aspects of retirement, including an analysis of your current and future situation, ongoing reviews of IRA beneficiaries, tax planning and asset management, and more. Client Services & Communication: Good communication is essential to financial success. Not only will you have access to cutting-edge information on the market, economics, and laws, you will also have the option to be included in seminars on tax planning, estate planning, and other financial topics. As one of the top financial advisors in Franklin, TN, CapWealth Advisors provides clients with a dynamic, comprehensive, and transparent approach to improving their financial health. Uniquely, the firm also provides financial strategies and tools for Millennials, encouraging good money management habits early on and solidifying CapWealth Advisors as a top financial advisor in Franklin, TN to consider partnering with this year. Founded in 1998, Family Wealth Management is a Nashville wealth management firm that serves individuals, families, and non-profit organizations. Today, Family Wealth Management is a boutique-sized, independent, and fee-only financial advisor in Nashville, Tennessee, offering a full suite of portfolio management, financial planning, and retirement planning services. Independent: You never need to worry that your success is being compromised due to a conflict of interest. Integrated: Total wealth management through a comprehensive, expertly curated approach. Team-Based: A richly diverse team with longstanding ties to the firm and its community. Each service offered by Family Wealth Management is meant to provide a customized experience. The needs of each and every client coming through the door of this financial advisor in Nashville vary and, as such, the firm recognizes the need for a unique approach. While Family Wealth Management may be one of the smaller Nashville financial advisors on our list, this boutique structure allows for individualized attention, facilitating long-term relationships and customized financial solutions. With a boutique approach, a wide range of financial services, and a fee-only commitment, Family Wealth Management is one of the best financial advisors in Nashville to consider partnering with this year. As a wholly owned subsidiary of KraftCPAs PLLC, Kraft Asset Management, LLC (KAM) was formed in 2002 in response to an ever-growing need for wealth management services. 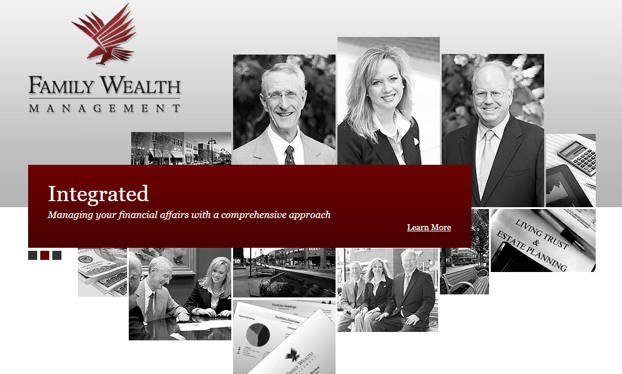 It is not clear as to whether this Nashville wealth management firm uses a fee-only or fee-based structure. As always, we recommend verifying compensation structures before partnering with any Nashville financial advisor. Many of these designations come with strict requirements for fiduciary responsibilities and ongoing education, solidifying the industry knowledge brought by these Nashville financial advisors. 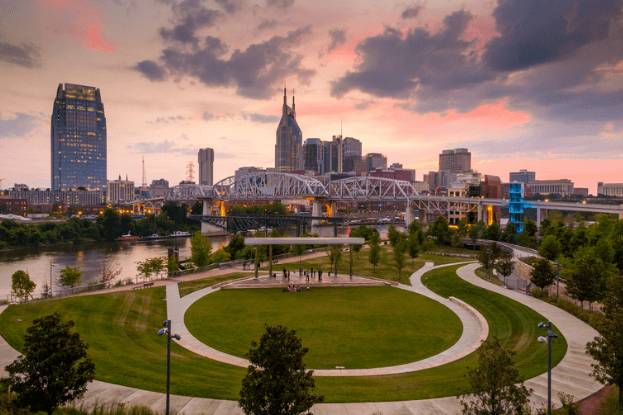 As a top Nashville financial planner, Kraft Asset Management provides clients with a solid industry foundation, backed by one of the largest independent certified public accounting firms in Tennessee. With a strong list of industry affiliations, a talented team, and a wide range of financial capabilities, KAM is one of the best financial advisors in Nashville, TN to consider partnering with this year. Located in Memphis, Tennessee, Legacy Wealth Management combines unparalleled financial planning services along with expertly led portfolio management for clients all over the United States. Founded in 1982, Legacy Wealth is a fee-only financial advisor in Memphis. For many clients, part of finding the best financial advisors in Memphis is finding a firm that provides a diverse range of services. This specialization in assisting FedEx pilots sets Legacy Wealth apart from competing Memphis financial planners, providing unique expertise to help FedEx pilots navigate through their often-complicated benefits and contracts. Additionally, the firm holds monthly group or individual presentations to help FedEx pilots better understand their corporate retirement packages, supporting financial literacy and better money decisions. Legacy Wealth proudly serves as an employee-owned, SEC-registered, independent financial advisor in Memphis. As such, these Memphis financial advisors offer commission-free services on a fee-only basis, meaning you know your costs up front, and there is never a hidden fee or agenda. With transparency at the forefront, a comprehensive range of services, and a unique specialty in assisting FedEx pilots, Legacy Wealth is one of the best financial advisors in Memphis to consider partnering with this year. With offices in Memphis, Tennessee and Shreveport, Louisiana, Reliant Investment Management, LLC offers portfolio management and advisory services to both individual and institutional clients. As a top Memphis financial advisor, Reliant Investment Management stands out for their independence and experience in serving public, institutional, and private clients. It is unclear as to whether Reliant uses a fee-only or fee-based structure, though they are likely fee-only as they do not accept commissions. As always, we recommend verifying compensation before partnering with Nashville, Franklin, or Memphis financial planners. The team at Reliant boasts over 125 years of combined experience in conservative yet expert portfolio management. Principals of this Memphis wealth management firm also hold several community affiliations, whether it pertains to public speaking or holding seats on a variety of committees. Reliant is owned and managed by its founding principals and remains unaffiliated with any other brokerage firms or financial institutions. Furthermore, this Memphis financial advisor is an SEC-regulated RIA (Registered Investment Advisor). It prides itself on providing commission-free services on a fee-only basis. For private, public, or institutional clients seeking expert investment management services, Reliant Investment Management is a great fit. Although the team of Memphis financial advisors may be smaller than that of competing firms, this allows for personalized attention that often cannot be matched by larger firms, providing an advantage for clients that want to establish a long-term relationship with their advisor. With a wide range of clients served and a strong focus on providing effective portfolio management, Reliant Investment Management is a top Memphis financial advisor to consider partnering with this year. Silverleafe Capital Partners, LLC is a fee-only boutique investment management and financial planning firm in Memphis. With a low client-to-advisor ratio, Silverleafe can provide their clients with dedicated personal services and over 60 years of combined experience in the financial industry. Silverleafe Capital has created a partnership with Fidelity Family Office Services. This partnership allows the firm to offer comprehensive financial planning services and access to this Memphis wealth management firm’s infrastructure, giving clients total control and visibility of their wealth. Additionally, Silverleafe is experienced in the integration and coordination of a family’s widely deployed assets and will work with your financial custodians (CPAs, attorneys, and brokers) to consolidate your holdings and information for optimal performance. These designations come with strict requirements for fiduciary responsibilities and ongoing industry education, ensuring that clients receive advice that is both up-to-date and unbiased. 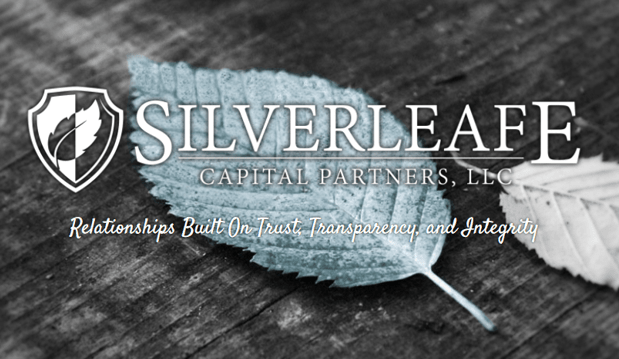 As an independent, fee-only firm with a fiduciary commitment, Silverleafe Capital Partners provides clients with a strong foundation of trust and transparency, two key elements in any successful financial planning relationship. In comparison to competing Nashville and Memphis advisors, however, Silverleafe does have an opportunity for improvement when it comes to how their services are communicated. For example, without an in-depth look at their investment philosophy or portfolio designs, it may be difficult for new clients to fully evaluate their capabilities. By adding more details to their financial services, Silverleafe Capital Partners can easily improve both their value proposition to new clients and their rating as a top Memphis financial advisor. Founded in 1991, Summit Asset Management is an investment management and financial advisor in Memphis, Tennessee. As a fee-only Memphis financial advisor, Summit Asset Management serves individuals, families, trusts, retirement plans, and charitable endowments. Investment portfolios are created based on a client’s current financial situation and their future goals. 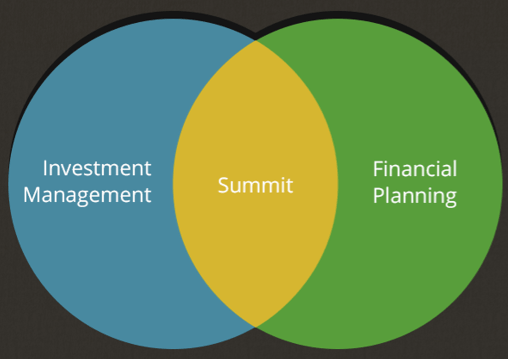 Summit then utilizes a team-driven approach with an investment committee dedicated to complete oversight and adherence to company disciplines. Creating a client-specific financial plan takes a lot of insight and dedication on the part of your financial advisor. As a 100 percent employee-owned firm, Summit Asset Management faces no pressures from outside entities to sell products or offer advice solely based on garnering a commission from the sale. As such, the sole driving factor during all stages of planning and implementation is the success of the client, instilling trust and transparency within the client-advisor relationship. With a wide range of financial services, a well-accredited team, and a fee-only structure, Summit Asset Management is one of the best Memphis financial advisors to consider partnering with this year. Waddell & Associates, LLC (W&A) is a firm with offices located in both Memphis and Nashville, Tennessee. Through these offices, it offers complete investment management and financial planning services to both institutional and individual clients. As a fee-only financial advisor in Nashville, Waddell & Associates does not accept commissions or make money on investment transactions, ensuring the clients receive an unbiased perspective. This Nashville wealth management firm refers to its investment philosophy as its “compass.” While it provides guidance during difficult times, this principle-driven compass is also helpful during stable times, as it makes sure the firm does not slowly drift in a bad direction. As an RIA (Registered Investment Advisor), Waddell & Associates is bound by its fiduciary duty to always put the best interests of its clients first. Additionally, their independence supports a strong commitment to unbiased, conflict-free advice, instilling trust within the client-advisor relationship. With a wide range of services, a strong commitment to client communication, and a fee-only structure, W&A is one of the best financial advisors in Nashville to consider partnering with this year. Woodmont Investment Counsel, LLC is a fee-based Nashville wealth management firm that serves high-net-worth individuals, families, institutions, endowments, foundations, and trusts. Founded in 2000, Woodmont Investment is an independent RIA (Registered Investment Advisor) and has built upon its success year after year. Woodmont Investment prides itself on having a diverse team with a multitude of qualifications and real-world experience. The team’s backgrounds vary from those in the investment management industry, hedge fund expertise, and self-side investment banking to global fixed-income investment management, Wall Street brokerage firms, and various asset management firms. As you can see, the breadth of experience brought by these Nashville financial advisors is vast, which is certainly something that all types of clients can benefit from. The first step in any plan is getting to know the unique needs of the client and assessing their current financial situation. Next, the firm presents the client with a specific investment strategy and asset allocation plan. As one of the top wealth management firms in Nashville, Woodmont Investment Counsel serves individuals, families, business owners, and institutions. As a boutique Nashville wealth management firm, Woodmont Investment Counsel provides clients with attentive service and individualized attention that many larger firms simply cannot match. For clients that are partnering with a Nashville financial advisor for the first time—or for those that prefer to establish long-term relationships with a wealth management firm—this boutique structure is a clear advantage. With a fiduciary commitment and a talented team, Woodmont Investment Counsel is one of the best wealth management firms in Nashville to consider partnering with this year. Protecting your wealth requires the same kind of diligence and care it took to accumulate it. Taking the time to look up financial advisors in Memphis and Tennessee is a small investment today that can pay huge dividends in the future. Our reviews are meant to serve as a starting point so that you do not have to spend hours skimming search engine results. By cross-referencing the information in this review with the list of features you’re looking for in a financial advisor in Memphis, Franklin, or Nashville, you’ll be well on your way to finding the perfect financial advisor in no time.